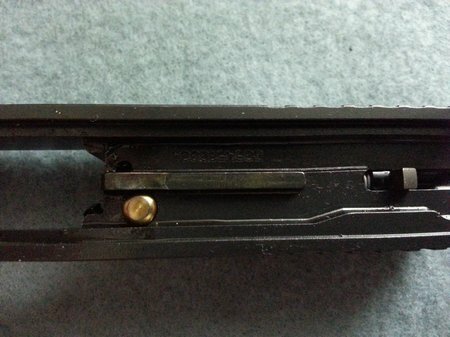 I installed a LS or Lightning Strike Titanium Safety Plunger in my Glock 22 Gen 4 about a week ago or so. I made it to the range yesterday to test some ammo and see how the new safety plunger affects the Glock trigger. I was really happy after my first trigger pull..I mean squeeze. The trigger was much smoother and felt lighter too. It made a big difference to me. I love the trigger now. I’m glad I upgraded the safety plunger on my Glock 22 and plan on doing the same to all of my Glocks. 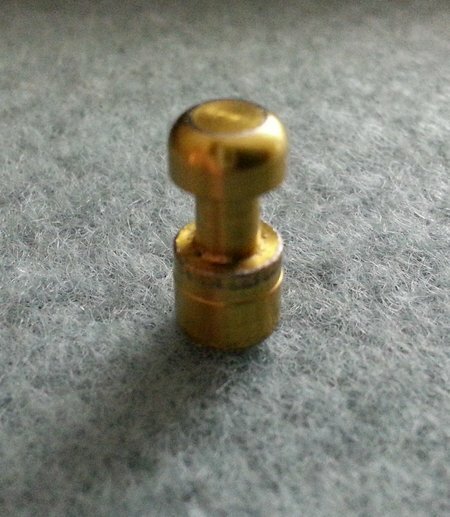 I read a few reports on the gun forums about the LS Titanium safety plunger and they were not positive either. I like to make my own judgments or opinions based on my own experience. The reports claimed premature wear or “peening” on the side surface of the plunger. I was curious to remove the safety plunger after my 150 round range session and see if there was any change in the condition of the plunger. Look at the distorted ring around the top of the base of the plunger. 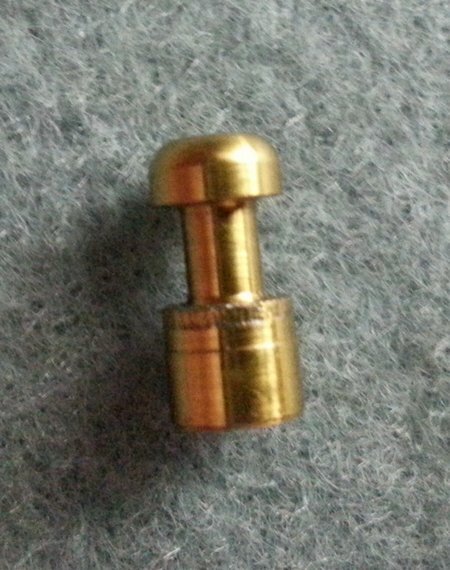 Here is the LS Titanium Safety Plunger after 150 rounds of regular 40 S&W ammo. As you can clearly see there is some wear or “peening” of the side of the plunger. Titanium is supposed to be as strong as steel but from what I see, it is not. 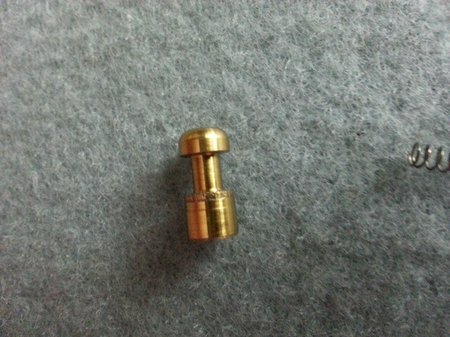 This part is also coated with Titanium Nitride which is supposed to be super hard with high lubricity. The coating may be OK but the hammering on the Titanium side is really distorting the shape. I cleaned it and replaced it in my Glock 22. I will monitor the Ti safety plunger until about 1,000 rounds. Let’s see what it looks like then. I will be contacting Lenny Magills at the Glockstore and Lightning Strike for some info on part longevity. Stay tuned. 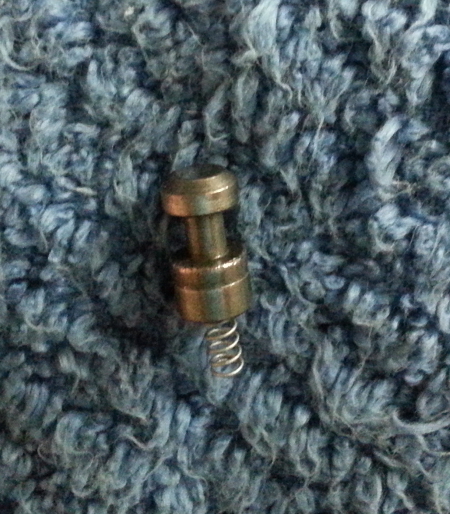 I happen to be cleaning my Glock 21 and took some pictures of the OEM stainless steel safety plunger. Let’s see what it looks like…. The picture is not that clear but you can tell the base of the safety plunger is somewhat beat up. Very similar to the titanium safety plunger above. 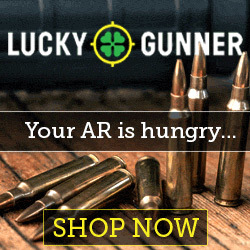 I will follow the wear on this part as I shoot more rounds through the Glock 22 and Glock 21. We’ll see which one lasts longer.